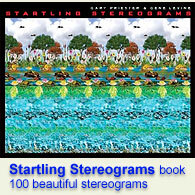 Line for food : Stereogram Images, Games, Video and Software. All Free! 1. This is awesome. br Not only is the image not distorted when viewed normally it is also a perfect 3D stereogram of the great depression. 3. The men look like they re carved from wood or even maybe bronze.... truly wonderful. Thank you! 4. What a depth with astonishing normality. br I wonder if can be done in a canvas. 6. I cannot very well read the words that are on the stone wall. Anybody? 8. like toy soldiers ..
9. Very Good - I had no problem reading the wall. br br Thanks! 10. Wow really cool. Interesting to count the people in 3D and in normal view... helps explain how it works. Thanks - this one s beautiful. 17. THE GREAT DEPRESSION on the wall!! 24. i never noticed the words up until i read your messages guys... wooh! cool! 32. Very cool! I d love to have as a picture in my room. 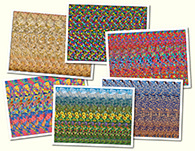 Do you have a hi res for printing available for purchase? 33. Hi there. I d love to have this picture printed on canvas for in my room. Is it possible to purchase it?